There are many children’s cartoons that we look back with nostalgia. Sometimes those shows don’t age well or aren’t as enjoyable when rewatched as adults. But some kid’s shows standout for being wildly inventive while also having mature themes and stories. Avatar: The Last Airbender from Nickelodeon was one of those watershed moments in television. And today, it is coming back to television in live-action. 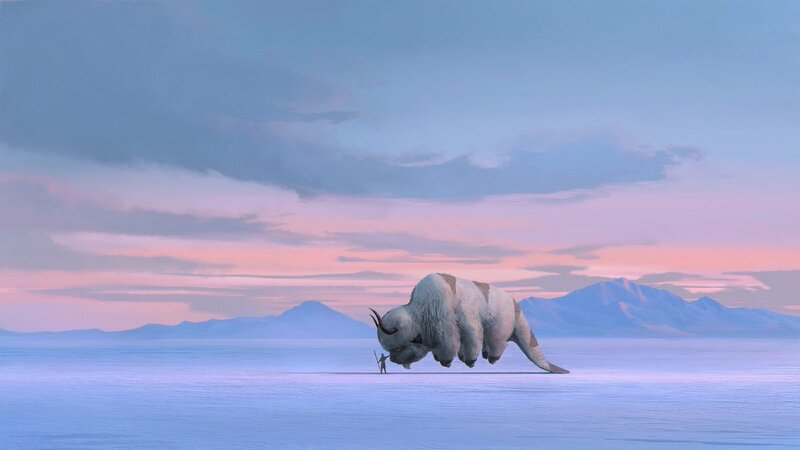 Netflix has just announced their plans for a “reimagined, live-action series.” Very little details have been shared other than the above concept art and confirmation that original showrunners Michael Dante DiMartino and Bryan Konietzko will be in charge. I would speculate this reimagining will cherrypick certain episodes and storylines to retell instead of having 22 special effects heavy episodes each season on Netflix. Avatar: The Last Airbender ran on Nickelodeon from 2005-2008. In 2010, the M. Night Shyamalan directed film, The Last Airbender, based on the show was released in theaters. The movie was a bomb both critically and financially. Netflix will attempt to rebuild the hype for the property with their new series. Previous postLeaked ‘CAPTAIN MARVEL’ Toys Reveal Looks At Captain Marvel, The Skrulls, & More!